When you choose for Aquafuzion to plan your special event you receive a full team of talented Orange County wedding planners. Each one has a special set of skills that means they will able to assist you in a whole range of specific areas. Whether you are looking for an organizer to take care of every detail in the run up to the big day or just a coordinator for the day itself, Aquafuzion will tailor their packages to suit you. From organizing your ceremony to the party afterwards, At Your Door Events will be there to assist you in every step of the way. They believe that each couple is unique and so make sure to find the right style for each individual wedding. 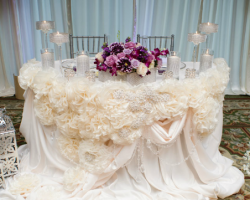 This top wedding planning company is the number one local choice in California due to their dedication to the couple throughout the planning process. Starting with making the first checklist to the moment you walk down the aisle, At Your Door Events provides only the best planning experience. While there are many reasons to choose Perfectly Made Weddings, all are encompassed in the testimonials that are filled with nothing but praise for this planning service. 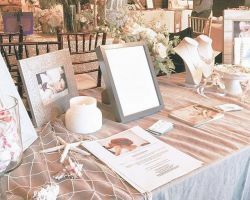 Niloufar Gibson, the owner and founder of Perfectly Made Weddings, jumped into being a wedding planner in Orange County, CA and fell in love with the profession immediately. Since 2006 she has become a highly experienced and certified wedding consultant who is able to bring your wedding dreams to life while you get to enjoy the whole process. Lindsay and Kyle are the husband and wife team who provide the incredible services of Live. Love. Elope. Amongst the planning companies of Orange County you will not find another that meets the creativity, understanding and reliability of this one. 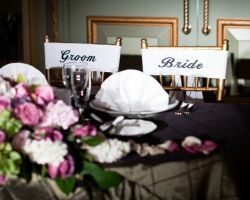 This service specializes in creating intimate elopements and smaller ceremonies to make them extra special. Whether you are traveling to Orange County for a destination wedding or staying locally, Live. Love. 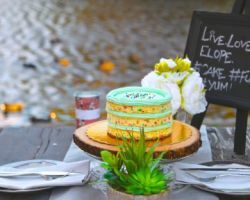 Elope are there to make everything go smoothly on the most important day of your life. At Events By Cori you will only find the most romantic, meaningful and elegant weddings. 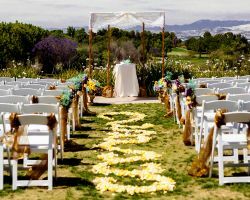 Cori herself has been providing unbeatable wedding planning services in Orange County for over a decade. Over this time she has built up a whole range of contacts that make Events By Cori an ideal choice for those looking for great deals. She not only can help you to stay on budget but she will make you feel like a celebrity, treating you exactly as you deserve in the run up to your big day.